Hello there! Thanks for stopping by to meet me. My name is Debs and I love to make great tasting cakes look pretty. I have always loved fancy cakes, particularly wedding cakes – I remember my mother getting cake decorating books out of the library. I used to copy them in play dough and hold tea parties for my dolls and teddies. The cake obsession comes from a wheat allergy that I had as a kid. At birthday parties I couldn’t eat the cake so I usually got offered the sugar decorations as some kind of consolation prize. Not that I minded – I thought the decorations were the best part! Fortunately, the wheat allergy disappeared and I started making cakes to make up for all the ones I had missed out on. The decorating side of things followed on naturally as I was always quite artsy and creative. 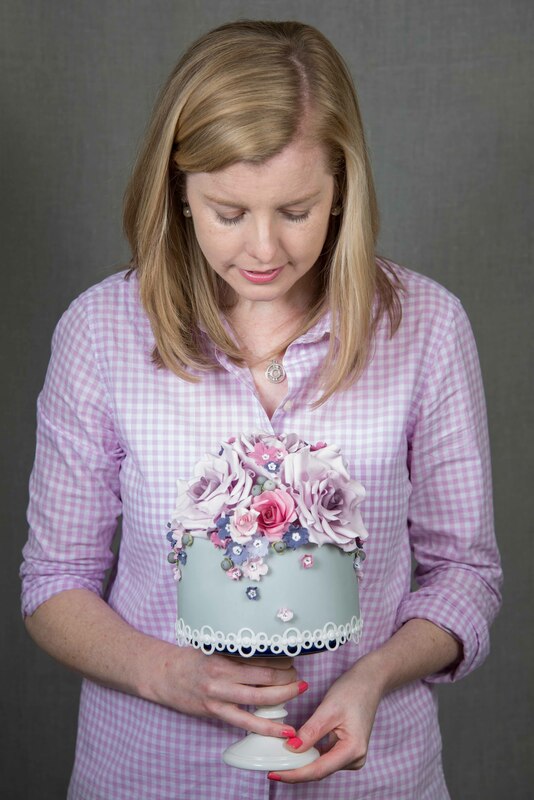 After years of practice as a hobbyist, I attended a master class with Zoe Clark, author of several cake decorating books as well as one of London’s prominent wedding cake designers. At this course I gained the confidence to start entering cake decorating competitions like Cake International in both London and Birmingham where I was awarded Gold and Silver medals for my entries in the “Wedding Cake” classes. Soon after, I opened by cake kitchen in Wrecclesham, Surrey. I now teach sugar craft at The Cake College in Berkshire. I hold a Level 2 certificate in Food Hygiene from The Royal Society for Public Health and my kitchen was awarded a 5-star hygiene rating from Waverley Council. Debs Makes Cakes specialises in wedding cakes, in a distinctive romantic floral style.